I was eager to return and see how the students had fared. 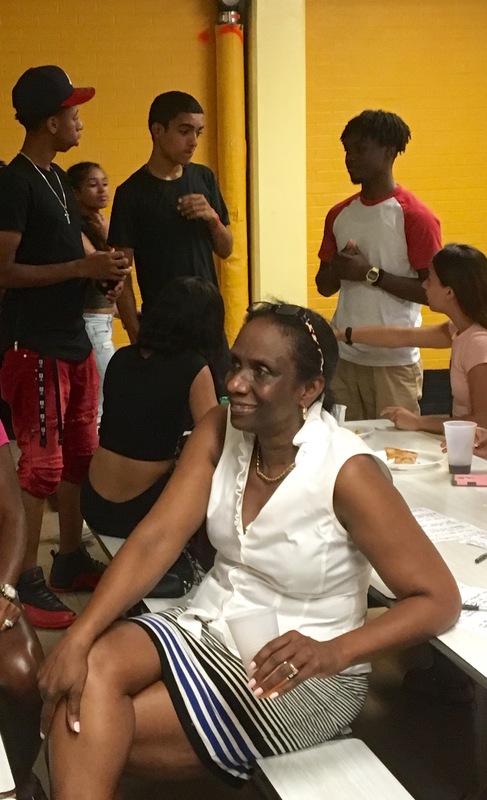 I knew from my ongoing contacts with the school and its students that several had endured more than their fair share of tragedy, including homelessness, violence and depression, and yet many were getting ready to go to college. Global Tech, as the middle school became known, was one of the first public schools that I began to follow as part of my research on how business ideas, especially those of New York City Mayor Michael Bloomberg, would influence K-12 education. I also was curious to see how a school that was seen, in many ways, as a Bloomberg-era success story was faring under the administration of Mayor Bill De Blasio, and his schools chancellor, Carmen Fariña. A number of changes, some driven by the new administration’s desire to merge small schools—a major departure from Bloomberg policy—may foreshadow significant shifts at the school. Here is the story I published this week in Gotham Gazette. Below are some photos taken of Global Tech alumni at the reunion, in July, and during their frequent visits to the school, over the last few years, where they have maintained close ties with their former teachers. 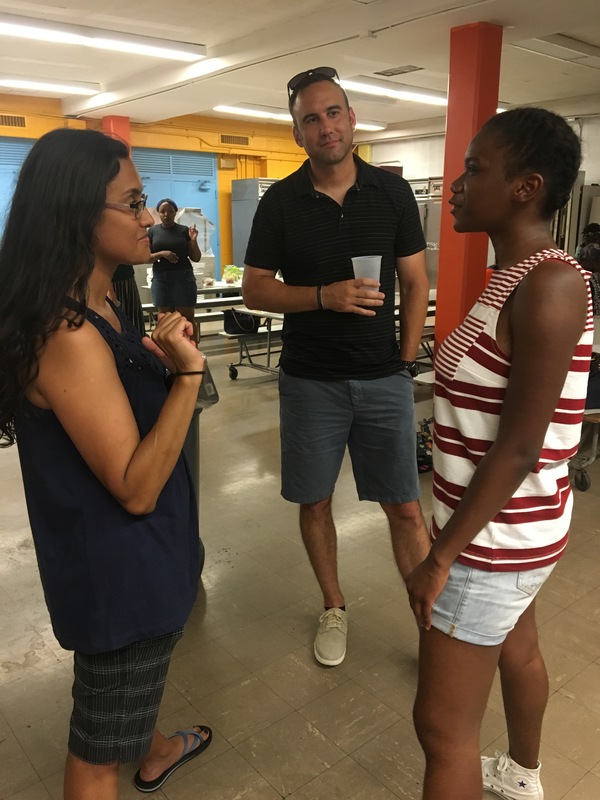 Kaira (right) who was valedictorian at the iSchool and will be attending John Jay College of Criminal Justice/CUNY in the fall, chatting with her former teachers at the reunion. Jhonary Bridgemohan (left) still teaches ELA at Global Tech. Matt Fernandez came to the reunion from Long Island where he now serves as a police officer. 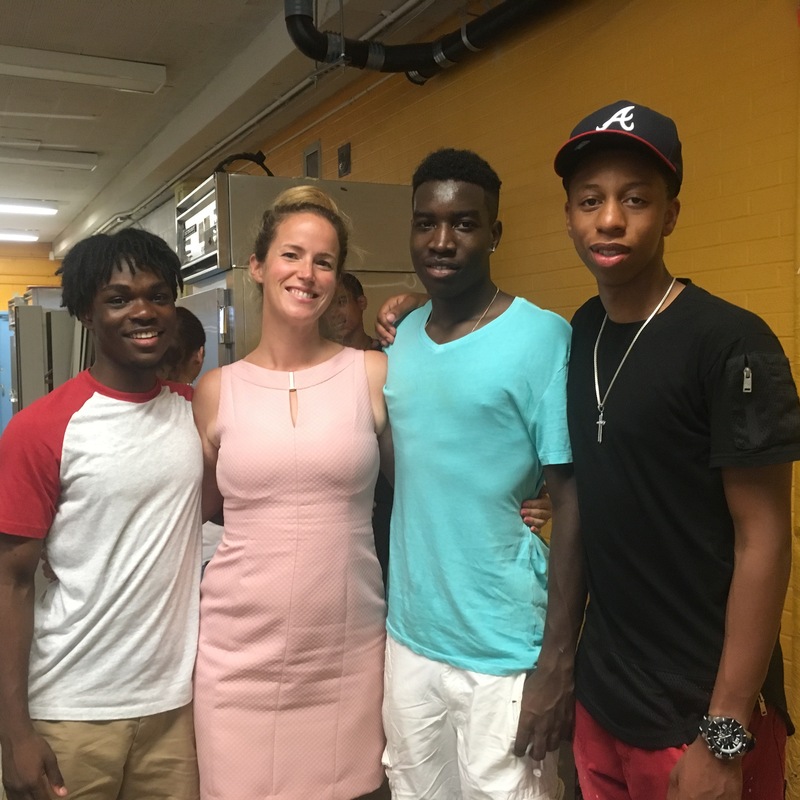 Jackie Pryce-Harvey, at the Global Tech reunion, helped found the school with Russell, and now serves as interim-acting principal of P.S. 7; the two schools share a building. 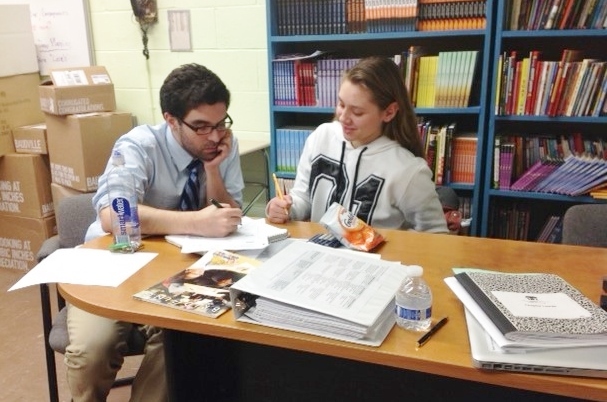 Raven gets help with her high school homework, in 2014, from David Baiz, her former math teacher, who succeeded Russell as Global Tech’s principal. 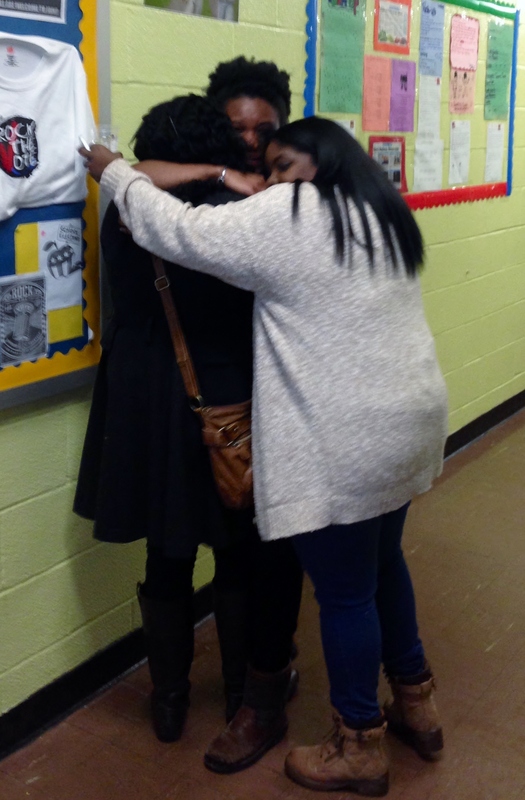 This entry was posted in Education and tagged Alexandra Estrella, Carmen Farina, Chrystina Russell, CUNY, Global Tech, Global Technology Preparatory, Gotham Gazette, Jackie Pryce-Harvey, Mayor Bill De Blasio, Mayor Michael Bloomberg, P.S. 7. Bookmark the permalink.